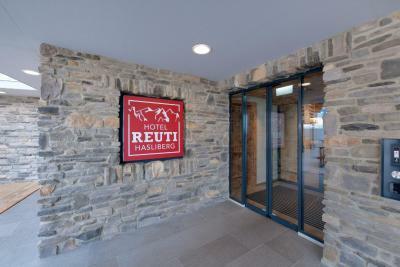 Lock in a great price for Hotel Reuti – rated 9.3 by recent guests! Location , I think dering winter the view will be amazing. Very friendly staff and super clean, amazing views and good food. Such a great view from our balcony. The hotel has large, modern and clean rooms. Breakfast is standard for Swiss hotels and adequate. Hotel restaurant is excellent. Al staff are professional and very friendly. 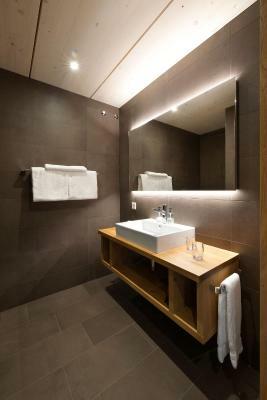 Hotel is ideal for people seeking solitude and peace and quiet. 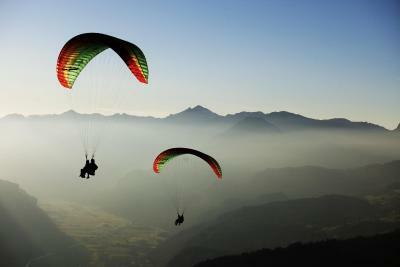 It is located high above Meiringen and far from shops and traffic. Helpful staff. Right on piste. Very good food. Fast WiFi. Stunning views. Great staff all whom seemed genuine. I only speak English and the few staff who were a bit rusty on that were still incredibly nice. The room was great. Good shower. I liked it so much I extended my stay by an extra day. I will be back! Breakfast was standard continental fair and was fine. Food in the restaurant was ok, not amazing but ok. Great underground parking. Extremely stylish and tastefully decorated. Relaxing and comfortable hotel to stay in. Spacious rooms and balconies. Staff could not have been more friendly. Abundant breakfast buffet. Good parking facilities. Really ticks a lot of boxes. We were there in summer which was lovely. Would love to go back in winter. I think it would be very cosy. Das Frühstück war perfekt, alles was das Herz begehrt. Die Lage und Ausstattung des Hotels hat uns sehr gefallen. Auch das Abendessen sehr fein. Ausser das Wetter war alles perfekt, wir haben es sehr genossen. 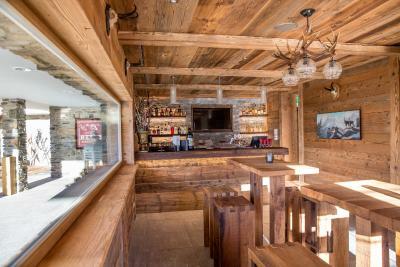 Located right next to the Hasliberg-Reuti Cable Car and offering free underground parking, Hotel Reuti offers a restaurant with a terrace serving Swiss and modern cuisine, as well as a trendy open-air bar, where you can select from a wide range of drinks. 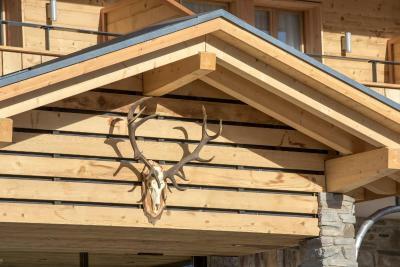 You have direct access to the ski slopes and hiking paths. 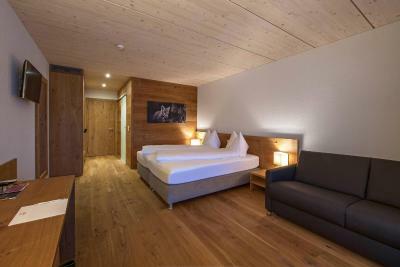 The rooms are furnished in modern Alpine style and feature a spacious bathroom. Free WiFi is available in all areas of the hotel. You can select from a wide range of regional and international wines and enjoy seasonal Swiss dishes in the stylish restaurant with an open fireplace. The cable car station and the bus station are located directly by the hotel. 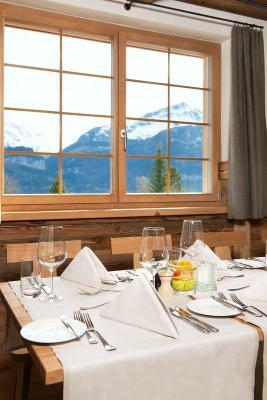 Hasliberg is located in the heart of Switzerland between Interlaken and Luzern in the Bernese Oberland. The Brünig Mountain Pass is just a 12-minute drive away from Hotel Reuti. 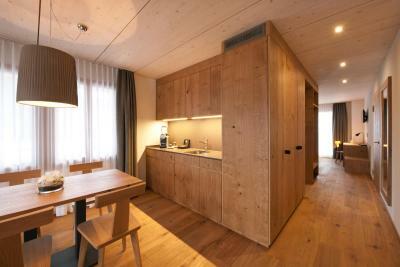 When would you like to stay at Hotel Reuti? 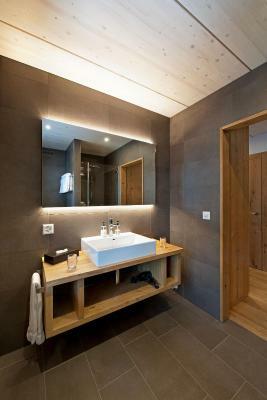 Furnished in modern-rustic style, these rooms feature a spacious bathroom with a shower. Furnished in modern-rustic style and offering panoramic mountain views from the balcony, these rooms feature a seating area and a bathroom with a rain shower. Furnished in modern-rustic style and offering panoramic mountain views from the balcony, these large rooms come with a living area and a spacious bathroom with a rain shower. House Rules Hotel Reuti takes special requests – add in the next step! One child from 4 to 15 years is charged CHF 50 per person per night in an extra bed. Hotel Reuti accepts these cards and reserves the right to temporarily hold an amount prior to arrival. They charged me an additional CHF 30 for my little daughter-4 years which is a quite expensive. The breakfast was extremely unexpected which contained a few croissant, jam and toast. There wasn’t a coffee machine in the restaurant, you have to ask them to bring you a coffee or tea. Modern hotel with an amazing view. The location is a little out of the way in terms of other eating options. Just the climb to the hotel was little difficult from train to telefric with luggage to the hill. If you have car its ok. The only draw back is the flies, as there's no air conditioning in the rooms, we had to open the windows and the flies kept us up at night! Beautiful view, comfortable and clean . Like most places in Switzerland there was a poor selection of vegetarian meals and they lacked creativity. The meal i had was unfortunately very bland. Also shame about the high cost for dogs. Otherwise i really can't fault the hotel at all. One of the nicest hotels i've stayed at in Switzerland and i would return.